Ground Zero: Bring your group to the historic ground where the United States was attached on September 11. View the construction of the new World Trade Center as well as the “Reflecting Absence” Memorial. This visit will stir your group’s hearts and minds. Performance Halls: Between the Lincoln Center, Carnegie Hall, Radio City Music Hall, and Madison Square Garden, your group should have plenty on their plate in the way of stadium and performance hall touring. There’s a reason why New York is called the Big Apple. You will not be dissapointed by any of these amazing sites. 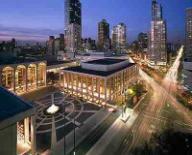 The Lincoln Center alone has 8 theaters and 13 other associated theaters and facilities to explore. Ellis Island/Statue of Liberty: The Gateway for millions of immigrants from 1892-1954, and the site of the Statue of Liberty, Ellis Island is quite possibly the most renowned and historic part of New York City. Visit the immigration museum to learn about how immigrants were processed and brought into the United States. 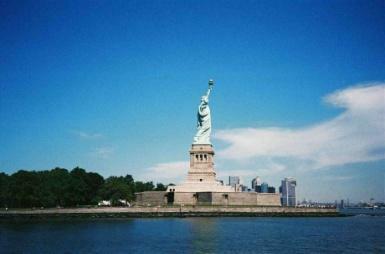 The Statue of Liberty stands as the icon of Ellis Island and New York City and is not to be missed. Free Time: Looking for some fun free time activities for your group, take them to Chinatown or Little Italy for a plethora of different foods and souvenirs representing the two distinct cultures. Looking for more? Go to Times Square or Wall Street to see where all of the magic of entertainment and business takes place that has influence in the entire world! Other Activities: Other activities include but are not limited to a visit to the Empire State Building (the tallest building in New York! ), a tour of the NBC Studio, a Broadway Show of your choice, a Harbor Dinner Dance Cruise and much more! If you’re looking for food, try the Hard Rock Café which never fails to meet the expectations of every group we send. We can provide your group with a specialized tour guide for New York as well at your request and these guides know their stuff!